August 15: SOLEMNITY OF THE ASSUMPTION OF VIRGIN MARY. Your body is holy and glorious. August 15: SOLEMNITY OF THE ASSUMPTION OF VIRGIN MARY. Dear brethren in Christ, below you have an excerpt of Pope Pius XII Apostolic Constitution which proclaimed the dogma on the Assumption of the Blessed Virgin Mary and which is read in today’s Divine Office. Here you can find the rational, biblical, patristic arguments of the dogma. Happy Solemnity of the Assumption of the Blessed Virgin Mary! Fr. Rolly A., priest of Opus Dei. Thus St John Damascene, who is the greatest exponent of this tradition, compares the bodily Assumption of the revered Mother of God with her other gifts and privileges: It was right that she who had kept her virginity unimpaired through the process of giving birth should have kept her body without decay through death. It was right that she who had given her Creator, as a child, a place at her breast should be given a place in the dwelling-place of her God. It was right that the bride espoused by the Father should dwell in the heavenly bridal chamber. It was right that she who had gazed on her Son on the cross, her heart pierced at that moment by the sword of sorrow that she had escaped at his birth, should now gaze on him seated with his Father. It was right that the Mother of God should possess what belongs to her Son and to be honoured by every creature as the God’s Mother and handmaid. St Germanus of Constantinople considered that the preservation from decay of the body of the Mother of God, the Virgin Mary, and its elevation to heaven as being not only appropriate to her Motherhood but also to the peculiar sanctity of its virgin state: It is written, that you appear in beauty, and your virginal body is altogether holy, altogether chaste, altogether the dwelling-place of God; from which it follows that it is not in its nature to decay into dust, but that it is transformed, being human, into a glorious and incorruptible life, the same body, living and glorious, unharmed, sharing in perfect life. Another very ancient author asserts: Being the most glorious Mother of Christ our Saviour and our God, the giver of life and immortality, she is given life by him and shares bodily incorruptibility for all eternity with him who raised her from the grave and drew her up to him in a way that only he can understand. 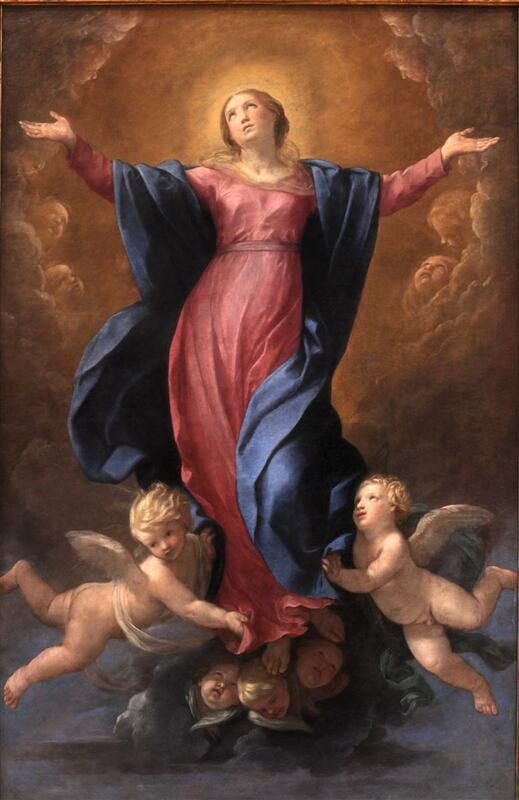 August 15: SOLEMNITY OF THE ASSUMPTION OF OUR LADY. Significance & Consequences.